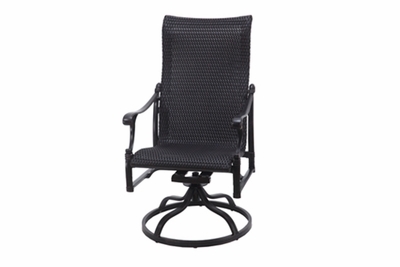 You and your clientele are sure to be impressed by the craftsmanship and comfort of our commercial wicker collections. Our premium all weather wicker material is tightly woven over the fully welded aluminum frames in these commercial collections and are sure to endure from season to season. Your guests will be delighted with the upscale appeal at your hotel, resort or pool area. Relaxation is at a premium with our commercial wicker seating collections. Additionally, because Open Air Lifestyles offers a 1-year warranty on its commercial frames, you can be certain our outdoor patio furniture is constructed to last. From fully welded frames, to electrostatically applied muli stage 5 MM powder-coated finishes, to double strength aluminum tubing, you can be sure a collection of our commercial outdoor furniture is built to withstand the test of the elements and customer wear. Here at Open Air Lifestyles, every piece of our commercial outdoor patio furniture is custom made. For most commercial installations, we manufacture outdoor furniture to your specifications. Quantity restrictions and a focus on frame strength, of course, apply. Contact Open Air Lifestyles,LLC or your Commercial Representative for complete details at 1-877-548-5697. Dimensions: W: 24.0" D: 29.5" H: 44.0"